These famous words flow down through Church history with power, devotion and deep meaning to every believer. 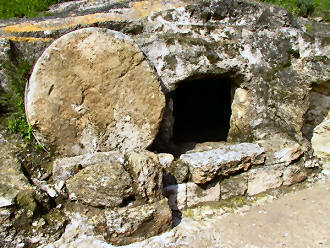 (Luke 24:6) The resurrection of Jesus Christ is the bedrock of our faith and the greatest event known to man. It was an open declaration to all men that this lowly carpenter was who He said He was–the Son of God! When the Angel spoke these words to the ladies who went to put spices on the body of Jesus, it was a shock to their cultural and religious understanding. As Hebrews, they believed in a resurrection, but it would not take place until the end of the age. They had no reference point to understand a resurrection before that time, and yet, this is what the Angel proclaimed. With the desire of humanity to have a point of integration which defines the deepest meaning to life, it is easy to understand how the tomb of Jesus would become a shrine; a place of devotion to the miracle worker from Galilee. However, because of the resurrection, His body could not be worshipped and enshrined to satisfy this longing of mankind. We must meet Him by faith; it is the only way of fellowship with our resurrected King. The tearful devotion of these women was interrupted by the angelic proclamation, “He is not here, but is risen.” God would not provide a natural or physical place of mediation between the natural and the spiritual world. He offered something greater! Here are several enjoyable things of life we must keep from becoming our meaning to life, our final integration point. While good in themselves, they can become toxic or evil if they become our ultimate meaning. There is nothing wrong in having these things; it is wrong to let these things have us. Relationships – Allowing relationships to be the ultimate meaning in our life sets us up for untold heartache and disappointment. Every relationship in this life will end. The unhappiest people are the ones who hang their existence and goal in life upon finding a spouse. Instead of letting the Lord bring them a godly partner, they, out of desperation, get deceived by players and drama queens. He is not here, but has risen. Children – I’ve seen many parents idolize and allow their children or grandchildren to become their meaning to life. The proof is the tragic depression they fall into when the children grow up and leave home. Rearing children is one of the highest privileges of human life; it affords us many insights into the heart of God. However, it must not become our ultimate integration point. He is not here, but has risen. Pets – We all love pets. They seem to love us even when we are unlovable to ourselves. They always strive for our company, or at least we project this upon them from our own need. However, we must not let them become the deepest fulfillment in life or we forfeit God’s best. Enjoy them? yes. Idolize them? no. He is not here, but has risen. Sports – As a former athlete in many sports, I know the thrill and meaning that sports can give. We easily slip into idolatry and headiness within our favorite athletic game. We see the idolatry and worship of sports within our culture. It will leave us empty and lonely if we allow it to become our final integration point. We see this clearly when we read of how athletes cannot adjust to post retirement life. He is not here, but has risen. Jobs/Hobbies – How we make money and what we do for recreation can easily become our meaning to life and leave us depressed when we can no longer do them. I’ve seen this hundreds of times with individuals from various ages ranging from teenagers to eighty year olds. If we live long enough, jobs and hobbies will end; they cannot give us continual and ultimate meaning. He is not here, but has risen. Ministry – Yes, for those called by God to ministry, we must never allow counseling, preaching, teaching, writing, church planting, starting schools or orphanages to become our final integration point of meaning and purpose. If we do, they become our spiritual lovers and will rob us of the simple intimacy with Christ. 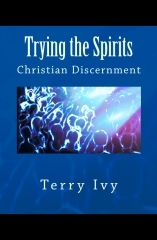 We must, for the sake of our spiritual health and usefulness, avoid these subtle traps. He is not here, but has risen.